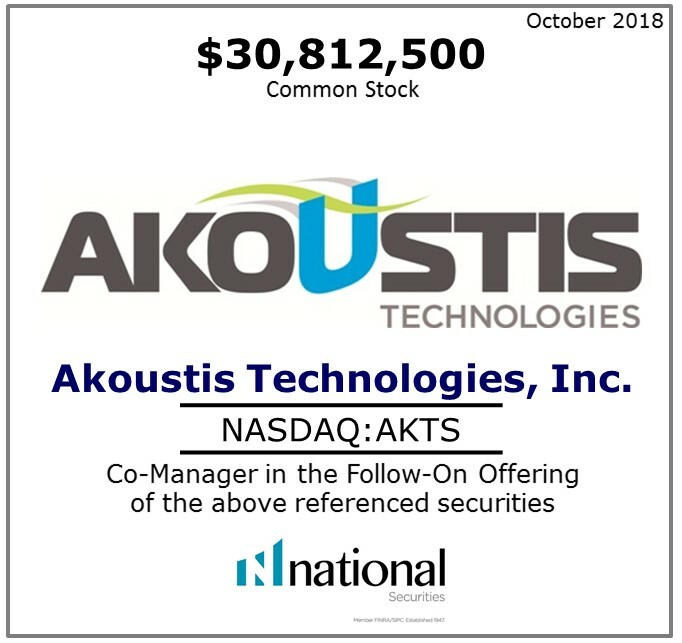 Mr. Gregory Kouvelas joined National Securities Corporation as a Senior Managing Director of Technology Investment Banking. 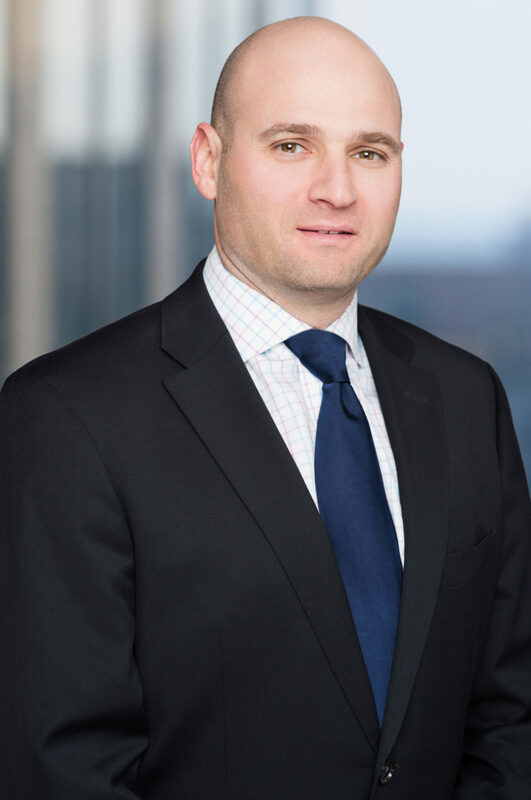 Previously, Mr. Kouvelas served as a Senior Banker at Wunderlich Securities, Seven Hills Partners, ING and Robertson Stephens. 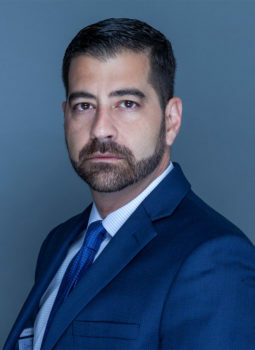 In addition, Mr. Kouvelas also has experience as a consultant at Andersen Consulting (Accenture) Strategic Services Group and an executive at a Silicon Valley software startup. Mr. Kouvelas earned an MBA in Finance from the University of Chicago Booth School of Business and an AB from Harvard University. National has built a robust banking practice across the massive technology industry, including in exponentially growing sectors like software, internet apps, social media, hardware, data mining platforms and fin tech, as well as large crossover segments like 3D printing, self-driving cars and the Internet of Things (IoT). Our banking team’s capabilities center on capital raising activities, primarily through private placements for early stage companies, as well as investment funds and SPVs dedicated to well-known tech “unicorns,” both in primary and secondary markets. While we sometimes displace traditional VC investors, we also co-invest alongside them to support the development, market penetration and adoption of promising technologies. Ilya Grozovsky is the Managing Director covering the Technology sector. Ilya’s focus on technology includes software, cloud computing infrastructure and applications. Ilya is a seasoned analyst with over 15 years of experience on both the sell-side and the buy-side, working for firms such as ING, JP Morgan, SoundView Technology Group, MAC Investment Management, and Morgan Joseph & Co. 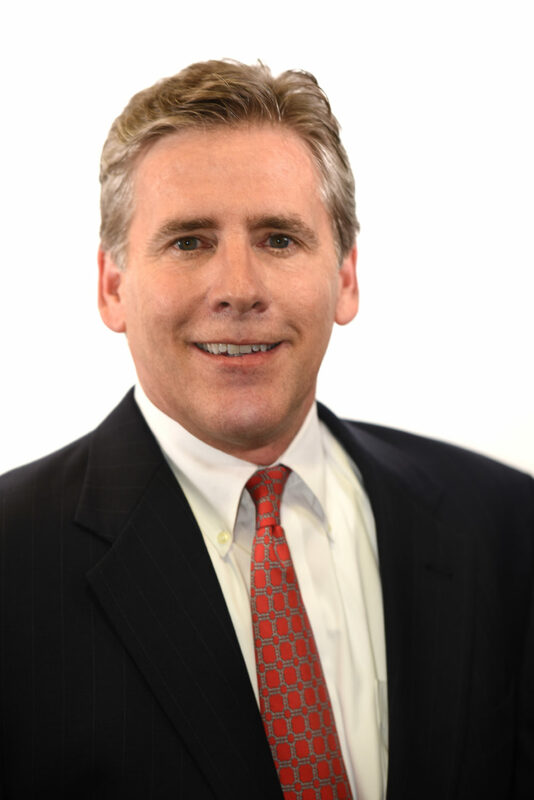 He holds the FINRA Series 7, 63, 86, and 87 licenses and received his Bachelor of Arts in Economics from the University of Maryland. 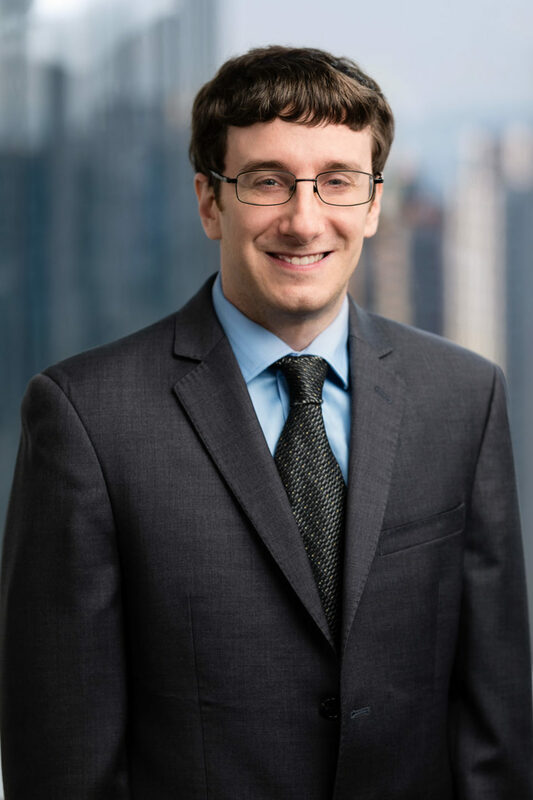 Matthew Galinko joined National Securities in June 2018 as a Senior Equity Research Analyst covering Technology and focused on the Internet of Things. Matt has covered the technology sector since 2007, including small cap at Sidoti & Company and multi-cap at Battle Road Research. Matt earned a B.A. in Economics, minor in Business, and led the investment club at Brandeis University. Technology research coverage at National focuses on sub-sectors such as software as a service (SaaS), the Internet of Things (IoT), and other unique opportunities in tech. The technology analyst team looks for companies with unique products, a growing market opportunity, expanding market share and recurring revenues. All types of valuation methodologies are used, with a consistent eye toward profitability. March 28, 2019– Yesterday, after the close of trading, AudioEye reported its December quarter results (the company had preannounced their results on January 23). Revenues in the quarter were $1.8 million, in line with our original estimate and compared to $1.5 million in the September quarter and $0.9 million in the year ago quarter. Adjusted EBITDA for the quarter was a loss of $0.6 million, essentially in line with our expectation and essentially unchanged from the previous quarter and year ago quarter. 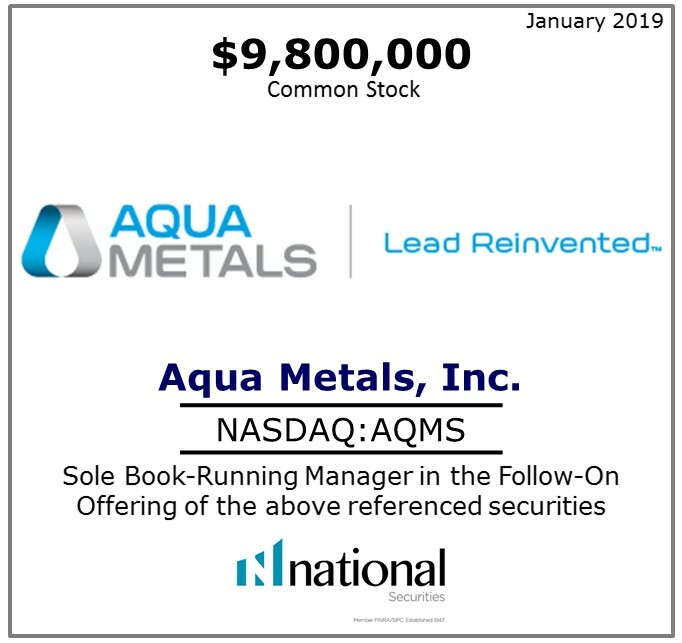 March 1, 2019– Yesterday, after the close of trading, Aqua Metals reported December quarter results. Revenues in the quarter were $1.1 million, essentially in line with our expectation of $1.0 million and virtually unchanged from the previous quarter and up from $0.9 million in the year ago quarter. The company continues to conserve capital by only running a few modules at a time and for only a few days at a time as it continues to refine the process to generate a positive contribution margin. Adjusted EBITDA in the quarter was a loss of $7.8 million, essentially in line with our expectations and virtually unchanged from the previous quarter. February 22, 2019– Yesterday, after the close of trading, Digimarc Corp. reported its December quarter results. Revenues in the quarter were $5.2 million in-line with our estimate and compared to $4.9 million in the previous and year ago quarters. Adjusted EBITDA in the December quarter was a loss of $6 million and in line with our estimate and unchanged from the previous and year ago quarters. February 6, 2019– Yesterday, after the close of trading, Digital Turbine reported its December quarter results. Revenues in the quarter were $30 million compared to our estimate of $29 million and compared to $24 million in the previous quarter and $23 million in the year ago quarter. Gross margins continued their upward momentum for the third quarter in a row and attained a non-GAAP gross margin of 37.4% up from 34.6% in the previous quarter. 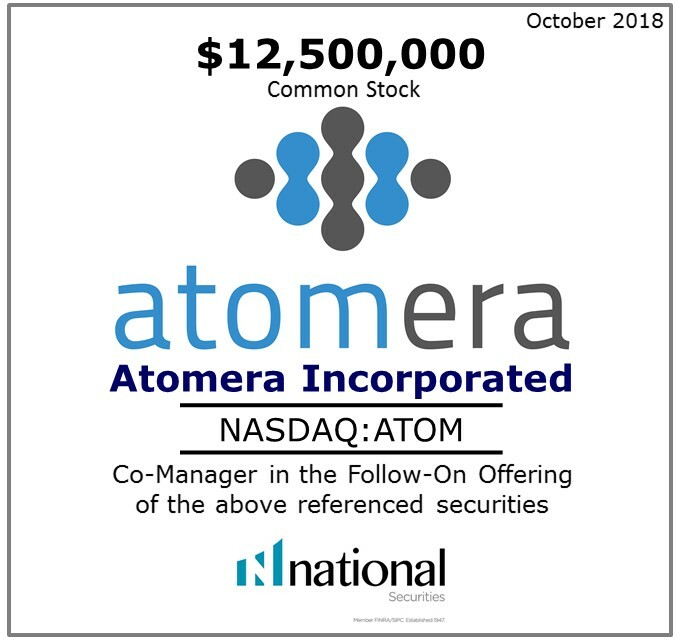 The company reported adjusted EBITDA of $3.8 million compared to our estimate of $2 million and better than the $1.6 million in the previous quarter and $0.2 million in the year ago quarter. February 27, 2019– Today, prior to the opening of trading, Energous Corp. reported its December quarter results. The company generated $56,000 in research and development offset payments in the quarter, significantly lower than our estimate of $1.4 million and down from the previous quarter’s $23,000. Adjusted EBITDA in the quarter was a loss of $8 million which was greater than our estimate of a loss of $7 million but down from the previous quarter’s loss of $9 million and unchanged from the year ago quarter. March 26, 2019– IDSY announced the proposed acquisition of Pointer Telocation (NASDAQ: PNTR – NR – $15.72) on March 13, 2019, pending shareholder approval. 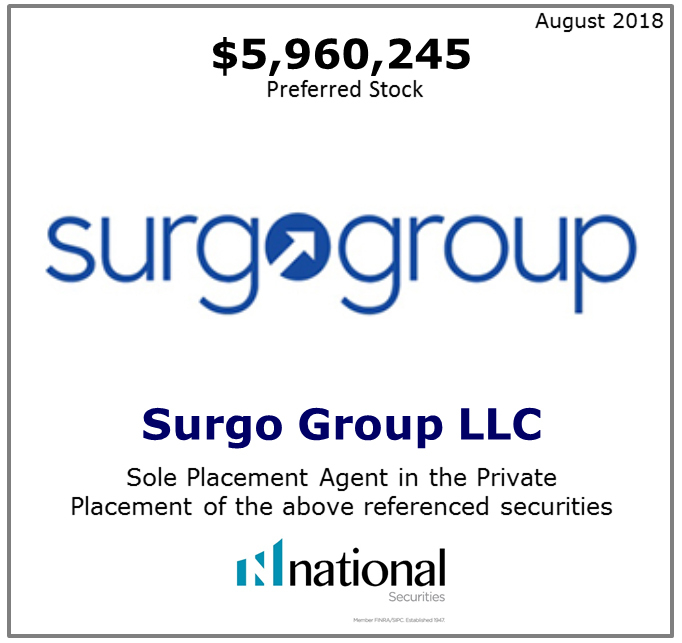 The acquisition is expected to close summer 2019; for simplicity, we model a June 30 close. February 22, 2019– IDCC reported 4Q:18 Non-GAAP EPS of $0.24 on revenue of $75.3 million yesterday, beating our estimate for $0.08 on $71.8 million. Revenue guidance was for $70-$76 million. Cost management and operating leverage are a central and possibly underappreciated element in the IDCC story. After acquiring Technicolor’s IP assets in 3Q:18, management commented that it returned normalized expenses to 2017 levels as of 1Q:19.
of total revenue in 2017. Although INSG’s line of Verizon hotspots, particularly the first 5G home gateway, offer room for additional growth from current levels, INSG tallied a number of wins with other carriers including Tier 1 in the U.S. Combined with other revenue opportunities, we expect VZ concentration will become less severe in the coming years. March 12, 2019– KOPN reported a 4Q:18 Non-GAAP loss of $0.09 on revenue of $7.7 million, which compared to our estimates for a $0.09 loss on $8.6 million of revenue. Industrial and military revenue were lighter than we expected, although consumer slightly beat our estimate. January 30, 2019– Yesterday, after the close of trading, Mitek Systems reported its December quarter results. Revenues in the quarter were $17.7 million compared to our estimate of $17.0 million and compared to $21.0 million in the previous quarter and $12.1 million in the year ago quarter. Revenues in the quarter, which grew 47% year over year, were driven by strength in both mobile check deposit and mobile ID verification segments. February 4, 2019– On Friday Nano Dimension announced that it raised much needed cash through a public offering. 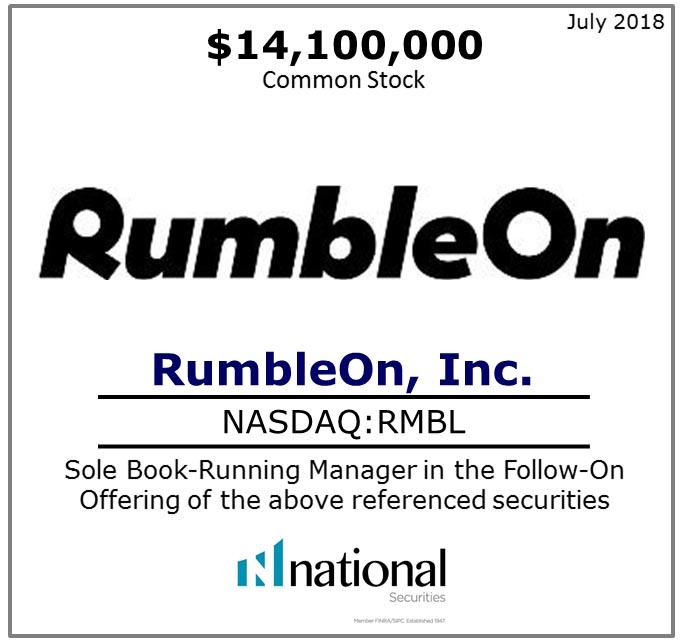 The company raised at least $12 million and could raise as much as $36.6 million with the overallotment, the warrants, and rights that are attached to the shares are exercised. April 17, 2019– We are fine tuning our 2019 and 2020 margin and operating expense estimates to better reflect cadence, revenue mix, and investments. As a result, we reduced 1Q:19E adjusted EBITDA to breakeven from $2.3 million and 2019E to $23.0 million from $24.3 million. We also adjusted 2020 adjusted EBITDA to $31.0 million from $30.2 million. March 29, 2019– PRGS reported 1Q:F19 Non-GAAP EPS of $0.50 on revenue of $89.5 million, which compared to our estimates for $0.46 on $86.9 million revenue. Stronger OpenEdge license sales supported the outperformance. The implementation of ASC-606 caused significant volatility in the Data Connectivity segment, resulting in a year over year decline to $4.5 million from $6.0 million (with the 1Q:F18 figure reported in the prior revenue recognition standard). 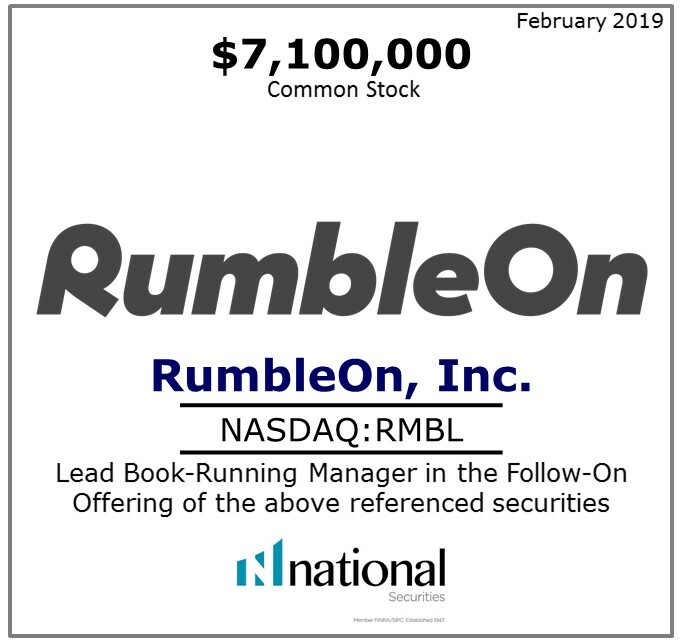 February 21, 2019– RBBN beat our adjusted EBITDA estimates by $2.1 million on a lower level of recurring expenses. Non-GAAP revenue of $173.4 million came in below our $175 million estimate. Cost reductions following the 2016 merger of Sonus and Genband continue to drive profits higher, with 2018 adjusted EBITDA of $84 million improved from $24.4 million in 2017. March 15, 2019– Yesterday, after the close of trading, Resonant reported December quarter results. Revenue in the quarter were $0.1 million compared to our estimate of $0.5 million and compared to $0.1 million in the previous quarter and $0.2 and year ago quarter. Operating expenses were $7 million in-line with our estimate and essentially unchanged from the previous quarter and up from $6 million in the year ago quarter. Adjusted EBITDA of a loss of $5 million was in line with our estimate and unchanged from the previous quarter but up from a loss of $3 million in the year ago quarter. 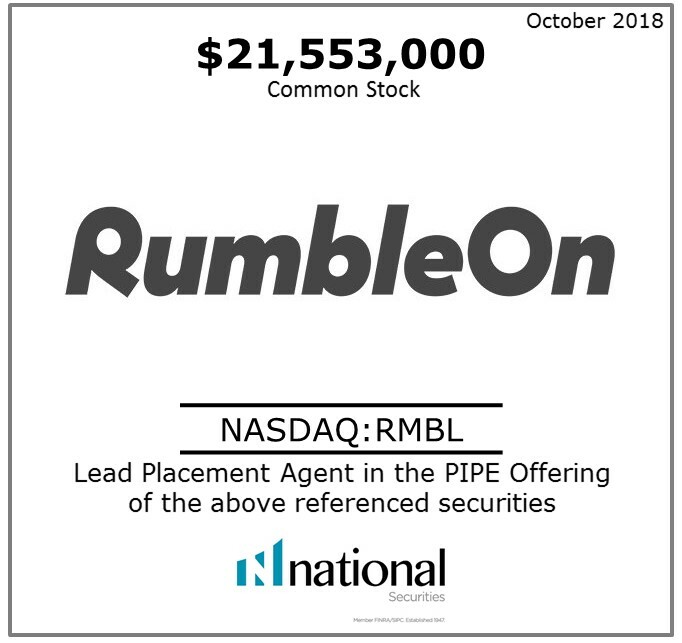 March 28, 2019– Yesterday, RumbleOn reported its December quarter results. GAAP Revenues in the quarter were $115 million and non-GAAP revenues were $165 million. 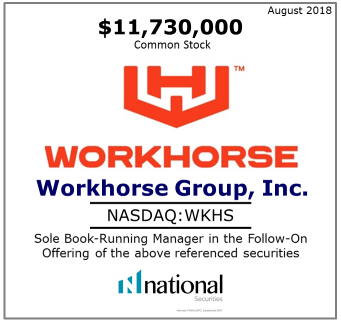 The acquisition of Wholesale Inc. closed on October 28, the non-GAAP revenues are pro forma had both companies been combined for the full quarter. We would note that the company’s fourth quarter results are unaudited as the audit is not yet complete and we are lacking a 10-K filing. February 20, 2019– SSTI reported 4Q:18 EPS of $0.03 on revenue of $9.7 million, which compared to our estimates for a breakeven quarter on $9.5 million revenue. The company also added 24 net miles to its gunshot detection network, beating our estimate of 21. 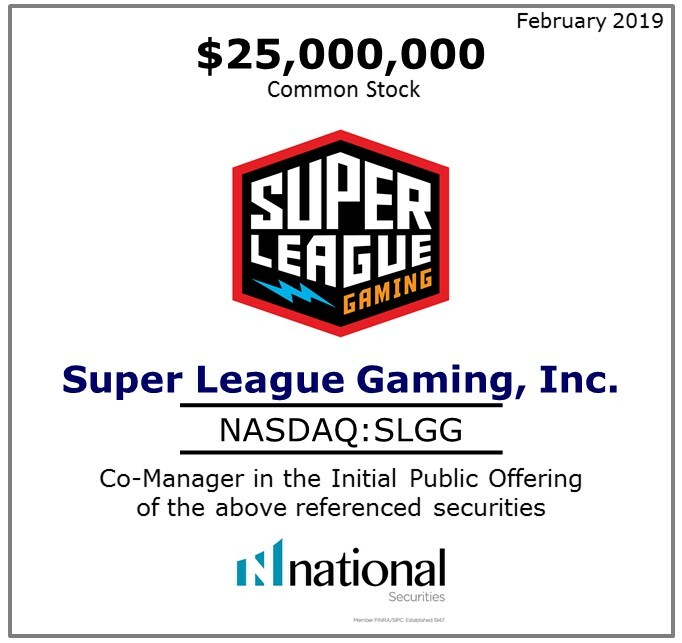 March 11, 2019– Super League Gaming’s focus on amateur is unique in e-sports. The e-sports professional space has been developed and players have had the ability to play other players individually in online game rooms. Super League Gaming is the first mover in the amateur e-sports arena to bring players together to compete as part of a team that is based on geography or association. April 9, 2019– The implementation of ASC-606 required companies to infer interest income from long-term contracts; this is a GAAP artifact, and as we calculate earnings based on billings, we previously incorrectly included that component of GAAP which was net from interest expense. This effectively double counted a small portion of revenue. Note that ASC-606 began in 2018.